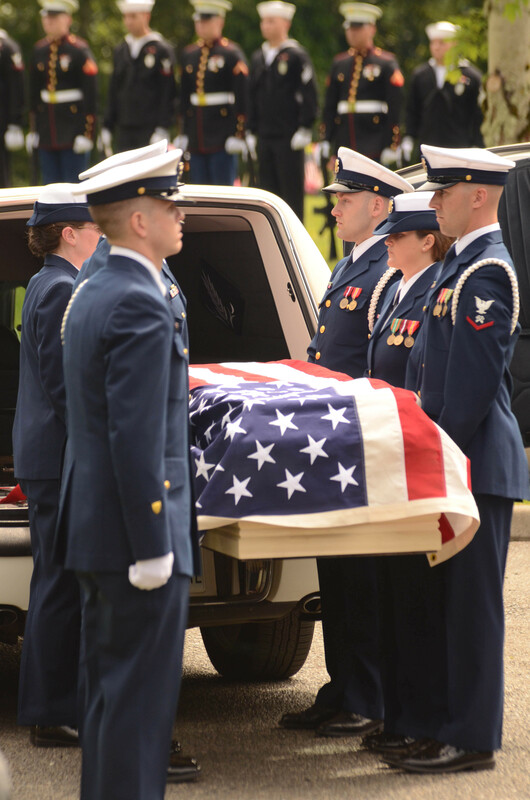 A Coast Guardsman who earned a Navy Cross for actions during combat operations in Guadalcanal was buried June 5 in Lakewood, Wash. Retired Cmdr. Ray Evans, whose actions during World War II earned him the Navy’s second-highest award for valor, was part of the a mission to rescue Marines along with Douglas Munro, the Coast Guard’s only Medal of Honor recipient. Evans and Munro were known as “The Gold Dust Twins.” They were both from Washington State and joined the Coast Guard together in 1939. They subsequently served together in New York before entering the history books in the South Pacific. In September 1942, Evans and Munro had helped transport a battalion of Marines to a beach during the Guadalcanal campaign, but the Marines encountered heavy Japanese resistance. Evans and Munro returned to evacuate 500 men from the beach at Point Cruz under heavy enemy fire. The Coast Guardsmen provided cover fire from their boat while the rest of the boats loaded the Marines. After providing cover for a boat that had gotten stuck on the beach, Evans saw his friend Munro killed by Japanese machine gun fire as they were heading off. It was still tough for him to talk about his friend’s death decades later, as this transcript from a 1999 video interview shows. “I’ve never have had as good a friend. Not that close,” Evans said of Munro in the interview. Evans was buried with full military honors, the Coast Guard reported, and his funeral was attended by Marines, who fired a three-volley salute in his honor. Bless you sir. You have made the Coast Guard proud and can finally meet up with your buddy in peace.